Most vets consider a dog to be “senior” at 7 years or older, though it does depend on size; small and toy breeds age more slowly and reach their senior years later in life. Animal shelters are full of healthy, active senior dogs who are often overlooked, as people tend to choose puppies and younger dogs. Older dogs can also make great pets, however, and they usually require less work from the owner. Since most people prefer to adopt a puppy, shelters are full of senior dogs that often end up being euthanized due to overpopulation. By adopting an older pooch, chances are you will be saving that dog’s life. Most older dogs already understand basic commands, such as “sit” and “stay,” and they know what behaviors are expected of them. So chances are you won’t have to go through repetitive training sessions, as the work has already been done. Older dogs are also usually house trained, so nor will you have to endure the (messy) process of toilet training. Sound appealing? There’s more… That typical puppy habit of chewing up shoes, or anything else she can get her mouth around — older dogs have already been there, done that, got the T-shirt. Senior dogs have already grown into their adult bodies and personalities, so there won’t be any surprises in store. You will be able to deduct whether she is a good match for your family and your home in terms of her activity levels, temperament, size, and whether she gets along with children and other household pets. Puppies demand lots of time and energy; they need attention and monitoring 24/7, a play partner, regular feeding of puppy food, and, as they’re settling in, they may even wake you up at night. You can make the job easier for yourself by adopting a senior dog, who doesn’t need you there at all times, and who is likely to settle in more quickly due to previous experience of living in a pack. Plus, they tend to be much calmer and less energetic, which means less demand on you, and a more peaceful life together. There is a misconception that all older dogs in shelters are there because they have behaved badly. Actually, senior dogs often lose their homes because their owner could no longer keep them, which can be due to several different reasons, including the novelty wearing off, the death of a guardian, allergies, moving away, a new baby, and various other lifestyle changes. Senior dogs are in need of a home just as much as the youngsters. So, if you’re worried about getting an older dog because she’ll be set in her ways, that is simply not the case. You can change a dog’s behavior through training at any point in their life, through patience and reward. 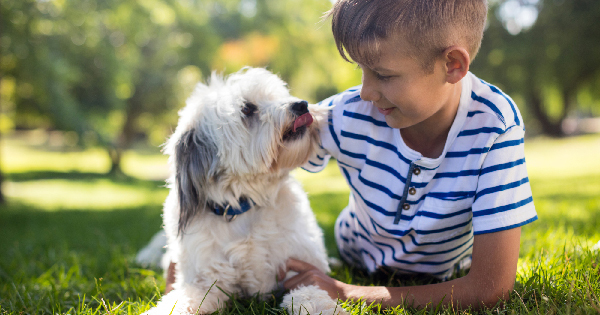 Puppies can cost a lot – what with multiple vet visits for vaccinations and spaying/neutering procedures, and – if you’re unlucky – you might have to replace some furniture, pairs of shoes and socks, and who-knows-what other household items. The point is, senior dogs have already been through all of this and come out the other side. That means you don’t have to make a dent in your wallet going to the vets OR the home department store. Are You Ready to Adopt a Senior Dog? So, if you’re thinking about adopting a dog from your local shelter, don’t look past the senior dogs. They can make just as great pets as puppies and younger dogs, and they’re usually less demanding of your time and energy. And the big plus – you can save that dog’s life.